Japan has very gradually managed to grab all the limelight for boasting of exotic locales for traveler’s from around the world to come and see for themselves the surprises that await them in Japan. It is important for people to realize that Japan has finally found a very strong footing for themselves in the international platform for being able to manage travelers from all across the globe. For those who have already become ecstatic hearing this and are already planning a trip to Japan at the back of their mind as and when they read, let it be clear that a trip to Japan is totally worth it! Japan promises a lot more than the famous kimono and the sushi. It is important for people to know that Japan is often termed as the land of the Rising Sun. Japan has very well managed to strike the perfect balance between the age-old traditions and customs that people still practice along with constantly updating themselves with the modern technologies. I is this beauty of Japan, the beauty of managing the two polarities of today with equal ease that makes Japan stand out in the global circuit. Tokyo Tower – Tokyo tower is the communications tower that stands tall at the heart of Tokyo. Just one glance at it and you will find this tower influenced for the Eiffel Tower. It takes pride of being called the second tallest artificial structure in Japan. Daibutsu – Daibutsu is often termed as the ‘giant Buddha’ as per the Japanese term. This largest Buddha monument takes pride in being the UNESCO World Heritage Site Historic Monument of Ancient Nara. This title that has been bestowed on this makes it a star attraction for the travelers to pay a visit there. 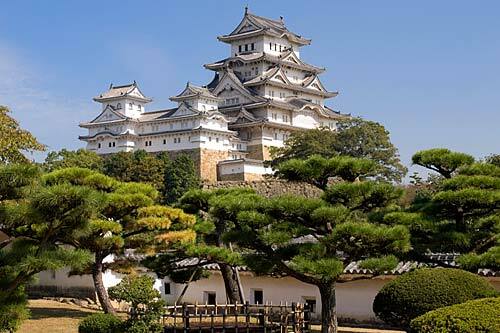 Himeji Castle – if there is one word that can define this castle that would be ‘surreal’. It was originally built as a castle to guard and protect the strategic points in and around Japan. All these things have surely made Japan one important and must visit place for you all.